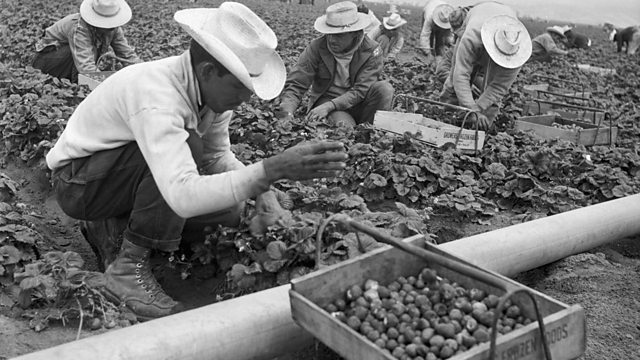 Hundreds of thousands of poor Mexicans were hired to work legally on US farms from 1942 to 1964 under the 'Bracero' programme. During the last years of World War Two, the American government began hiring poor Mexicans to come to work legally on US farms. The scheme was known as the 'Bracero' programme and lasted until 1964. Mike Lanchin presents archive recordings of some of those involved in the programme, using material collected by the University of Texas at El Paso.